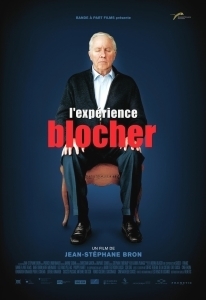 Swiss-French documentary filmmaker Jean-Stéphane Bron tackles his most political subject to date in latest effort and Locarno submission The Blocher Experience (2013), a character study of Swiss politician and mogul Christoph Blocher. Blocher is a member of that rather large group of right-wing, populist/capitalist European politicians that have proven successful in several countries in recent years. You already know the names: most of the time they are self-made men that ride a slightly nationalistic, conservative and (a tad) racist wave, coming into politics from a brilliant, but often shady entrepreneurial background. Strangely enough, Blocher decided to give Bron full access to his most recent political campaign, resulting in hours and hours of footage of the politician riding in the backseat of his car with his wife, and philosophising about his homeland as he tours it back and forth to meet the next political rally. More private moments, including Blocher having a nap on his living room couch, and extremely public ones, such as him crooning through traditional Swiss folklore songs in a pub making up some rather funny lyrics about him dying, reaching Heaven and asking God to move over and let him run the show, ornate a very accurate portrayal of his impact on the Swiss political scene in the last twenty or so years. Bron, astutely, stays in the background, claiming that no matter his questioning, he would never be able to pin down a politician so well-known for twisting any fact or reality to his advantage. Instead, the Lausanne-born filmmaker decides to investigate on the most intimate, personal side of this larger-than-life persona, trying to understand what lies behind the psychology of Blocher living in a castle, and surrounding himself with traditional artworks portraying a nostalgic face of Switzerland long gone. In this, The Blocher Experience plays like the Citizen Kane of political documentaries, and its Rosebud is to be found in Blocher’s childhood garden by the Rhine valley, where he was born the son of a humble pastor in a family of ten. Yet still, there’s no clash, confrontation or reconciliation between the old conservative politician and the young intellectual filmmaker – it’s as if they sniff each other with disregard, but then wisely let each other go without going for the respective jugulars. As with the most intelligent kind of political cinema, you walk out of The Blocher Experience with more questions and less answers than when you walked in. The 66th Locarno Film Festival takes place from 7-17 August, 2013. For more of our Locarno coverage, simply follow this link.